SATA Data Cable .5M 20Inch. 7 Pin L-Type Internal Connectors. Made for All SATA Transfer Speeds. 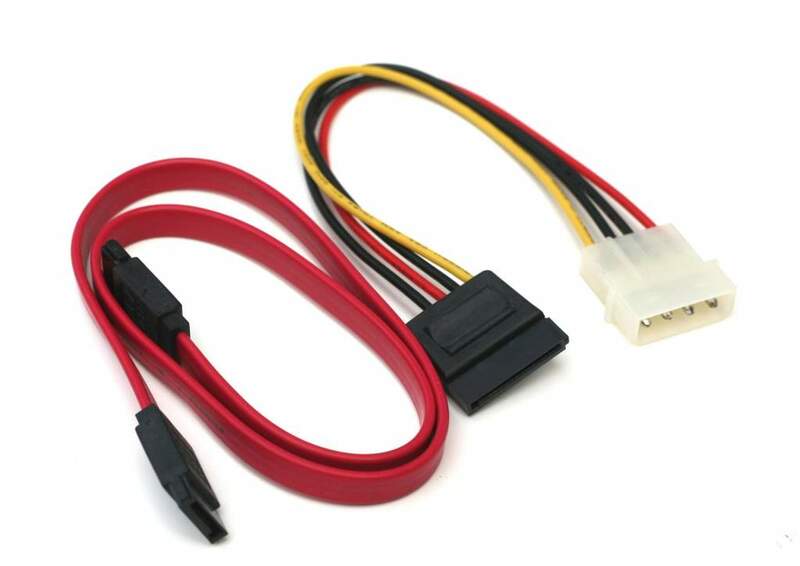 SATA Power Adapter Cable. 8 Inch Standard Sata 15 Pin Power to Model 4 Pin Connector. Premium Quality Cables Made by FOXCONN.